Living Well is a book for anyone who wants to get the most out of life, with clear answers about health, diet, exercise, and personal habits that can make all the difference. Living Well is the only program that incorporates all the elements of good health into one whole life plan by using Six Pillars: Thinking Well, Eating Well, Moving Well, Sleeping Well, Hosting Well, and Staying Well. 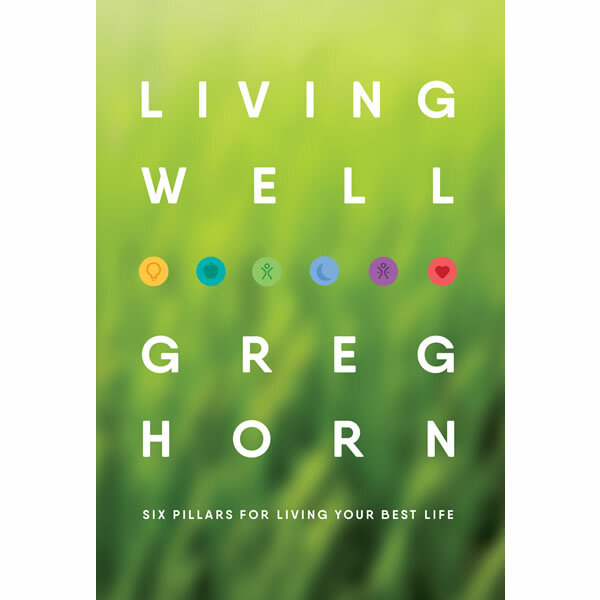 Written by health and nutrition expert Greg Horn in the same engaging and accessible style that made Living Green a best seller, Living Well connects the science to the art of Living Well, consolidating the latest scientific research into common sense insights and offering a prescriptive action plan that readers can incorporate into their lives.